Though Diner Dash has yet to make an appearance on DSiWare, other publishers have stepped up to offer fans similar action on the platform. 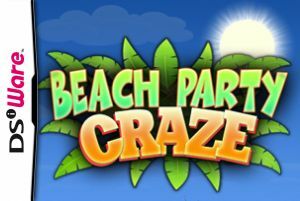 Alawar Entertainment is now bringing Beach Party Craze to the service, but is this PC port worth a download? The storyline in Beach Party Craze is simple, as you fill in for a friend as an attendant at a swanky beach resort. You’ll need to..